What are Canadian Snowbirds Allowed to Bring to the U.S.? What Items Can Canadian Snowbirds Bring to the U.S.? 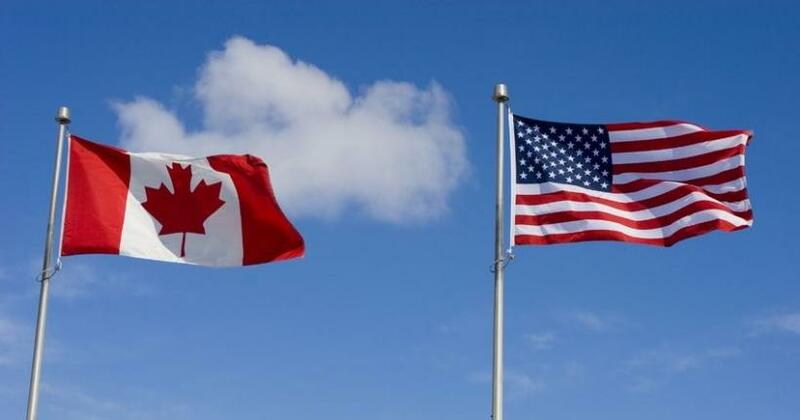 For Canadian snowbirds, understanding what you can – and more importantly - cannot bring into the United States is essential. Unfortunately, it can be a challenge to find specific, official guidelines when it comes to U.S. import and duty rules. One reason is because the U.S. has several different government departments that regulate these items, and the guidelines can be complex and sometimes difficult to find. Another is that the rules, especially for food and drugs, can change swiftly - so it can be difficult to find accurate, up to date information. To help you navigate through the maze of U.S. duty and import rules for visitors, we have created the following guide. However, please keep in mind that these rules can change quickly and frequently, so we strongly advise that you check the official U.S. government websites before you travel to make sure the rules haven’t changed. If possible, you may also want to contact the border crossing where you will be entering the U.S. in advance to ask about anything you are not clear about. This can save time and headaches at the border. The most important thing to remember is that you MUST declare everything that you have with you when you arrive at the border. Failure to do this can have serious and lifelong consequences. If you’re taking a lot with you, you should document your belongings heading down to the U.S. and returning to Canada by filling out the appropriate forms from both the U.S. and Canadian governments to avoid issues going down and coming back. Be sure to itemize jewellery and other valuables and be able to prove where and when they were purchased if asked. Travelling with your belongings: You will need to fill out a U.S. Customs and Border Protection (CBP) Form 6059B - Customs Declaration. You should also create a list of the personal belongings you are bringing with you ahead of time to present to U.S. customs along with your Customs Declaration form when entering the U.S. If your belongings are arriving separately: If you are shipping your personal belongings to the U.S. or having someone drive your car down for you with your belongings, you should fill out a U.S. Customs and Border Protection (CBP) Form 3299 – Declaration for Free Entry of Unaccompanied Articles that accurately lists all of the personal items in your car. Fill out a Canada Border Services Agency (CBSA) Form E-15: Certificate of Destruction/Exportation to avoid paying duty and taxes on your personal items when you return to Canada in the spring. Generally speaking, Canadian snowbirds may bring household items into the United States or have them to your U.S. address duty-free for use in your U.S. home - provided they have been used for at least one year and you are not bringing them into the U.S. with the intention of selling them. You can find more information about the required forms for bringing household goods to the U.S. here. You may only be allowed to bring in a 3 month supply of any prescription drug by the border control agents. Some Canadians who stay in the U.S. for 6 months have prescriptions shipped to them from their pharmacy in Canada, if you do this the package should contain a clear letter from your doctor describing your condition and need for the medication, along with a photo copy of your I.D. and all medication fully labeled by the pharmacy. Sometimes the package will be seized and inspected. Many snowbirds have found a U.S. doctor to prescribe them medication as a lot of medications are available in both countries, but not all. This can also be more costly. If you are flying, always have your medications in your carry-on luggage. Some non-prescription drugs are illegal in the U.S. e.g. ones that contain codeine - so if you need these drugs, you should carry a letter from your doctor explaining why. As with everything else, be sure to declare whatever you have with you at the border. You can find additional information in our article covering tips for Canadian snowbirds travelling with medication to the U.S.
For further information on specific medications, contact the U.S. Food and Drug Administration (FDA). Below is a list of some common (and not so common) items that are forbidden to bring into the U.S. The clearest advice we can give to avoid potential issues at the border is NOT to bring any food with you into the U.S. You can easily stop as soon as you have crossed the border and purchase any groceries you wish to have with you for your journey. If you are bringing food with you, you must declare all of it at the border, in particular, any dairy or meat products, as well as fruit, vegetables, plants, nuts and seeds. Again, we recommend that you do NOT attempt to cross the border with these items. Each adult (age 21 or older) can bring up to 1 Litre of alcohol into the U.S. (including liquor, wine, beer, etc.) duty- free. However, you must be staying in the U.S. for at least 72 hours. Any additional amounts may be subject to hefty duty, taxes and fees. Visitors may import up to 200 cigarettes and 100 cigars into the U.S. duty free. However, cigars must not be from Cuba. Cash - How much cash can Canadians bring to the U.S.? You can bring up to $10,000 in cash or negotiable monetary instruments into the U.S. without declaring it. However, if you are bringing more than $10,000 into the U.S., you must declare it. If you fail to declare cash or monetary instruments over $10,000, it can be seized by the U.S. government. If you are importing gold, it must also be declared at the border. There are extensive regulations governing bringing pets into the U.S. For more information, we suggest you read our Tips for Canadian Snowbirds Travelling with Pets. An import permit is required. The Bureau of Alcohol, Tobacco, Firearms and Explosives (ATF) regulates the importation of firearms. For further details please refer to the ATF website. You may bring gifts worth up to $100 per adult to the U.S. every 6 months on a duty-free basis. Gifts can not include alcohol and cigarettes, but may include up to 100 cigars. If you are bringing your vehicle across the border temporarily but will be returning to Canada with it within 1 year, then there is nothing you need to do. However, if you intend to leave the vehicle in the U.S. permanently, then it must then be converted to a U.S. registered vehicle within 1 year. Each state has different rules so it is important to research what you need to do to import your vehicle to the U.S. Check out our article on how to permanently import your car to the U.S. from Canada for more information. If you are bringing a boat to the U.S. with the intent of importing it, you will have to provide proof of ownership and proof it is compliant with various regulations. More details on importing a boat to the U.S. are available here.